The New Worcester Spy is an online news and literary magazine founded and edited by the students of Worcester State University. As of Spring 2019, we hold weekly meetings in Sullivan 305 at 3PM. Feel free to join us for a meeting! Founded in 2011, we provide readers with journalistic coverage of the Worcester community, campus life, and fascinating individuals of Greater Worcester, as well as a selection of fiction, poetry, memoir, creative nonfiction, photographs, and videos. We welcome submissions from anyone in the Central Massachusetts area. Please browse our submissions page and send submissions and pitches to thenewworcesterspy@gmail.com. Submissions are not guaranteed publication and will be subject to editing. Why the name “New Worcester Spy”? Is there an old Worcester Spy? 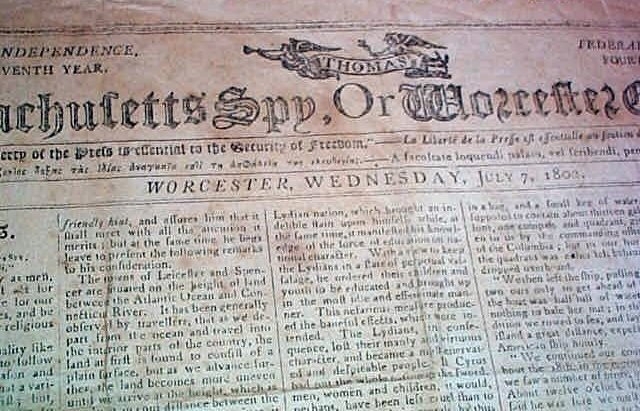 The Worcester Spy was the pre-eminent newspaper in New England from 1781 until 1904. It began when the great Boston publisher Isaiah Thomas created The Massachusetts Spy to further the cause of independence. Two nights before the battles of Lexington and Concord in 1775, Thomas fled to Worcester from the British forces who wanted to hang him. Six years later he renamed his paper The Worcester Spy. 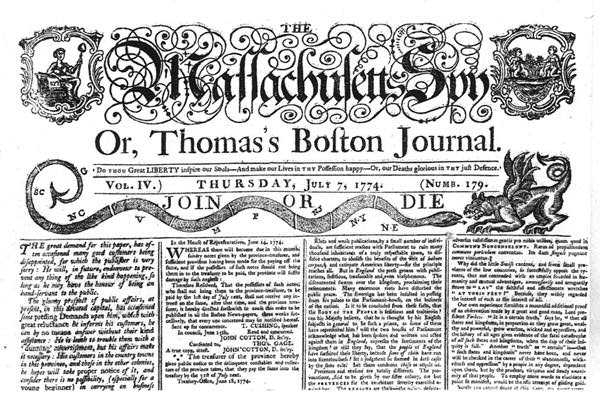 Thomas’s weekly newspaper harnessed the power of truthful, impartial reportage to facilitate the Patriots’ victory over the British, though it was scrupulous in providing a voice to those on both sides of the conflict. Later, this publication proved indispensable to the Abolitionist Movement, with its unflinching accounts of the treatment of fugitive slaves in the North. The Worcester Spy ceased publication in 1904, but we are proud to adopt its name today to revive the great Worcester journalistic tradition of publishing brave stories that impart necessary, sometimes terrible, truths, for the edification of readers. The Worcester Spy’s motto, “Noscere res humanas est Hominis” – Knowledge of the world is necessary for every person – continues to guide our literary efforts today.